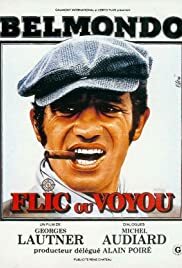 In my mind it's the best JP Belmondo movie! It's done in his best acting era and also technically and artistically it is excellent Belmondo movie! Even Morricone did sound for this movie! As all Belmondo aficionados know, the script and plot has not to much of importance but here it is quite good! Also he does some stunts in this movie also! Only thing with this movie I don't like is that I haven't found it with Englis subs or translation. So I have seen it in my language long time ago (about 20yrs) and lately with different languages. I am Belmondo fan but I like this movie best also because his choice of car/cars in here. He is driving Lotus Super Seven which is superb sportster in the world! Anyway, go and see it!